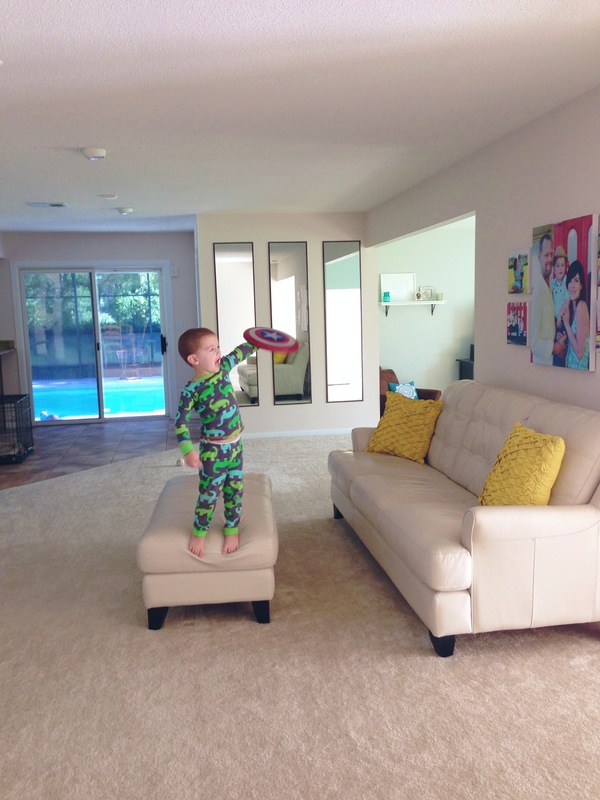 There are certain things that I’ve always tried to encourage Lincoln to enjoy. Trains, books, nature, animals. Then there are the things I’ve tried to avoid getting him involved with. One of the items on my avoid list is super heroes. Listen, it’s just not my thing. I’m not judging anyone who enjoys these things with their kids, it’s just never been appealing to me. I’ve always wanted him to play with more classic toys (trains, planes, etc) rather than the not-so-classic (bright colored plastic things with logos). Every parent has had to eat their pre-parenting words at some point. Lincoln has decided to hand me a little batch of humble pie by becoming completely and totally obsessed with super heroes. So much for the “My kid will never wear that” and “My kid will never play with that” comments. It all started when Mike got his transplant last year. The Carlisles gave him & Tim Batman masks while they were in the hospital as a consolation prize for missing the opening of the latest Batman movie. 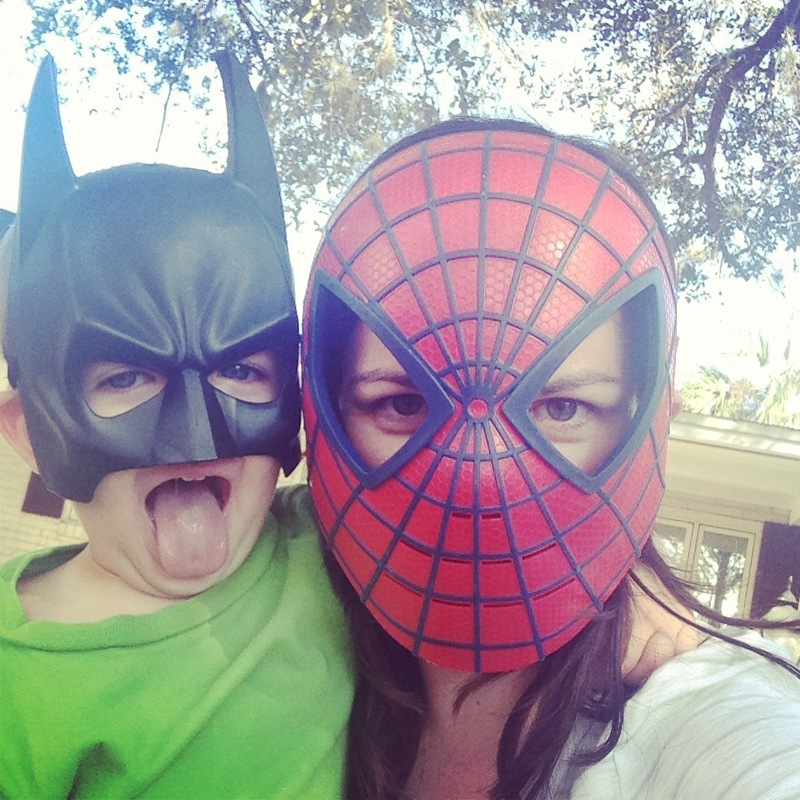 When we got that mask home, a certain 2-year-old became very interested in wearing it. Then the relatives (and my husband) got word that he kind of liked this stuff and the Batman, Iron Man, Spider Man, Hulk, & Captain America paraphernalia began pouring in my house. The super hero flood gates were opened. I cringe, but Lincoln eats it up. All that testosterone running through his veins just can’t get enough of strong men saving the world. 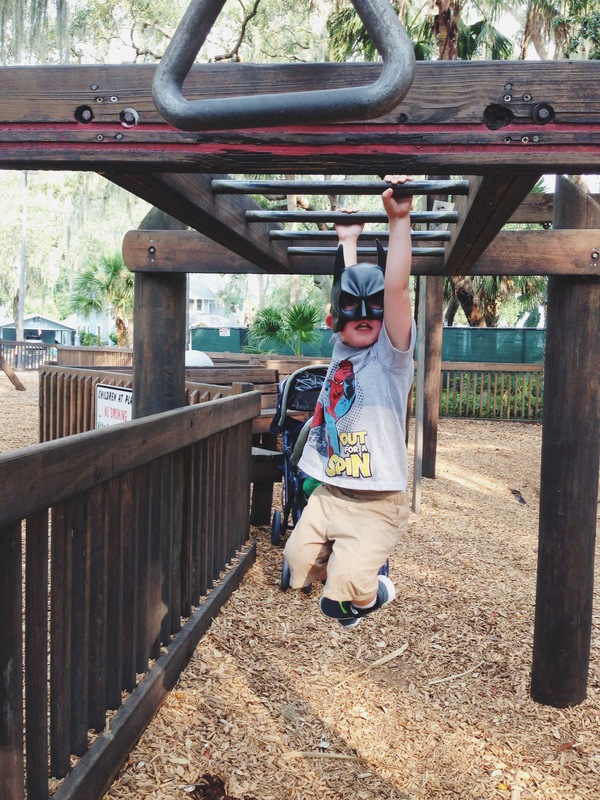 Lately he wants to wear the Batman mask everywhere we go. I mean everywhere. This week, we’ve worn it to the park, the grocery store, Aunt Lauren’s school, and more. I am not the kind of person that enjoys talking to strangers or being the center of attention, so I am not fond of the constant looks and comments we get when he wears it out. I kind of wanted to forbid him from wearing it in public for that reason, but I am trying to let him be a kid. So instead I just pray he forgets it when we get in the car. 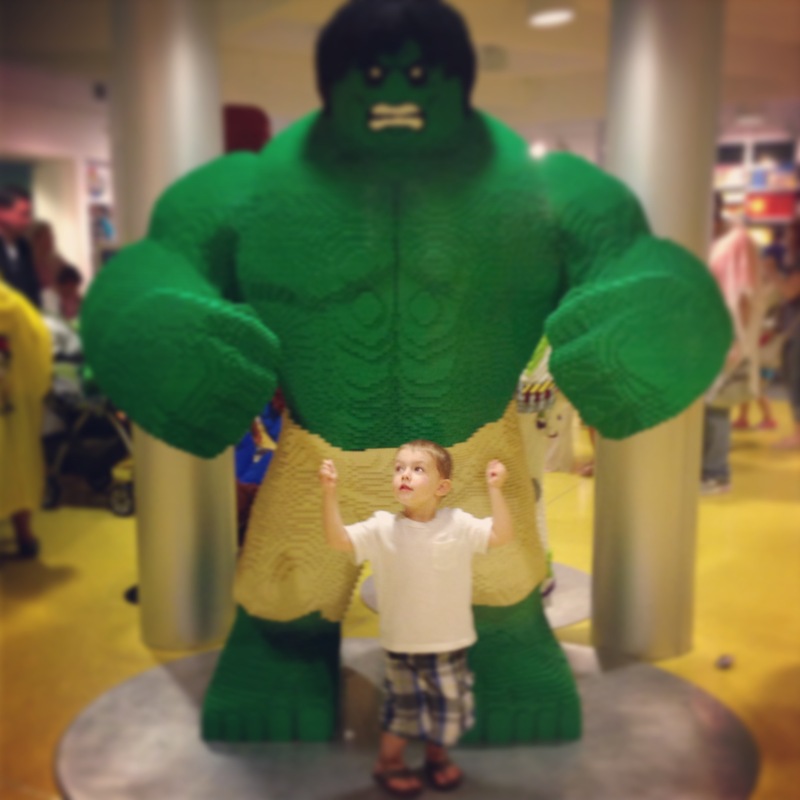 My son, being the total opposite of me, loves the attention it brings him. He just walks up to people and waits on them to react. Some boys at the park thought he looked awesome in it and one little girl told him he looked creepy and ran from him. Made no difference to Lincoln. 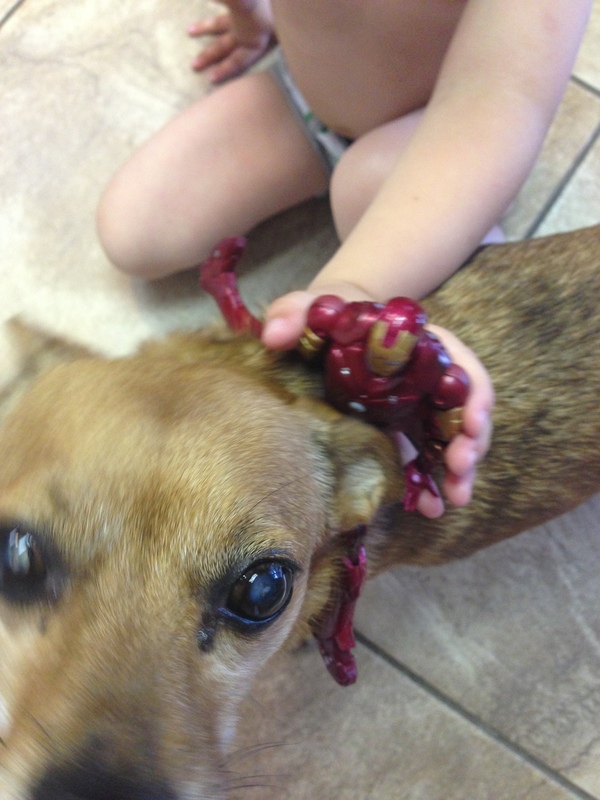 It was all attention and he loved it. 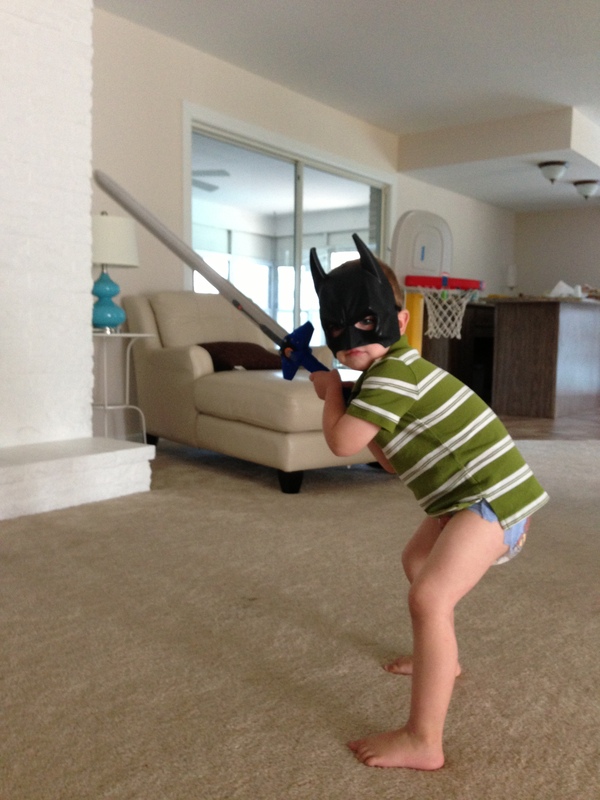 He’s even started referring to himself as Batman. 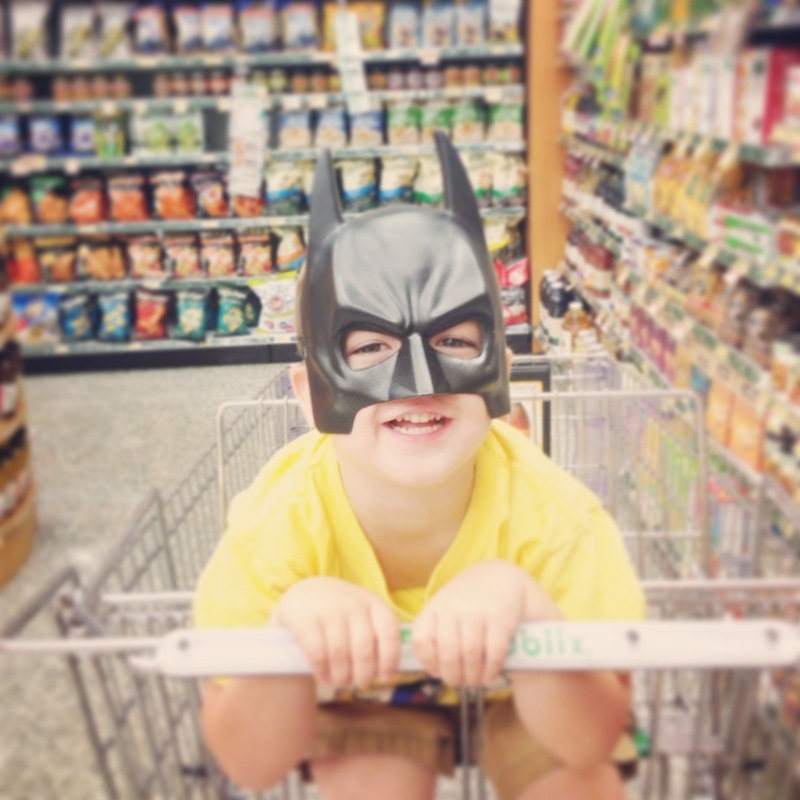 “Mommy, Batman doesn’t want to take a nap.” “Batman wants to walk, not ride in the grocery cart.” I’ve got to admit that it’s pretty hilarious to hear him role play and talk to “bad guys”. I hear things like, “You’ll never catch me!” and “You stop that, bad guys!” He has quite the commanding voice for a 3-year-old when he’s Batman. Since the super hero thing seems to be a phase we’ll be in for a while, I’m trying to make the most of it. We’ve started talking about what it means to be a hero, and I’ve explained to him that anyone can be a hero if he or she does things to help others. We’ve talked about Bible heroes, policemen, firemen, daddy. I tell him that he can be a real hero by standing up for people in need around him. 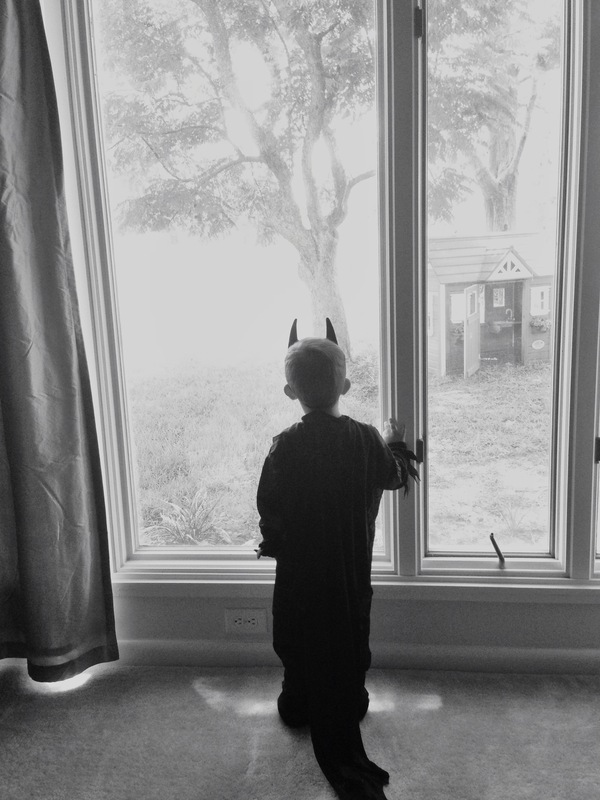 While I hope he one day outgrows wearing a cape, I hope he never outgrows wanting to make a difference. The world can always use one more hero. 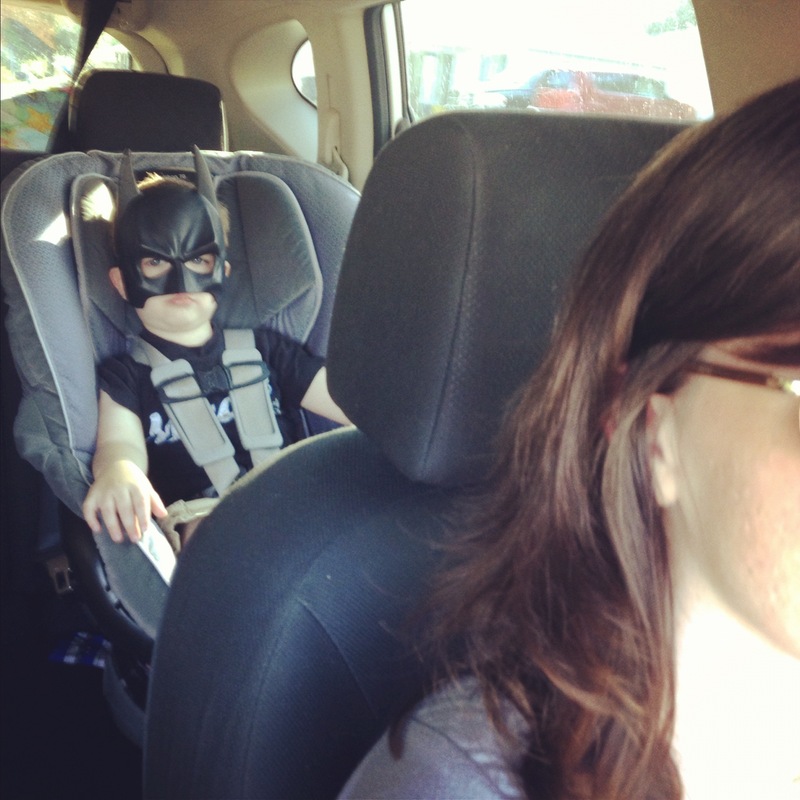 He was about 2.5 when I looked in my rear view mirror on this day and discovered he had smuggled the Batman mask into the car for the first time and put it on when I wasn’t looking. I always have to be Spider Man. Not sure why, but that’s the role I’m assigned. 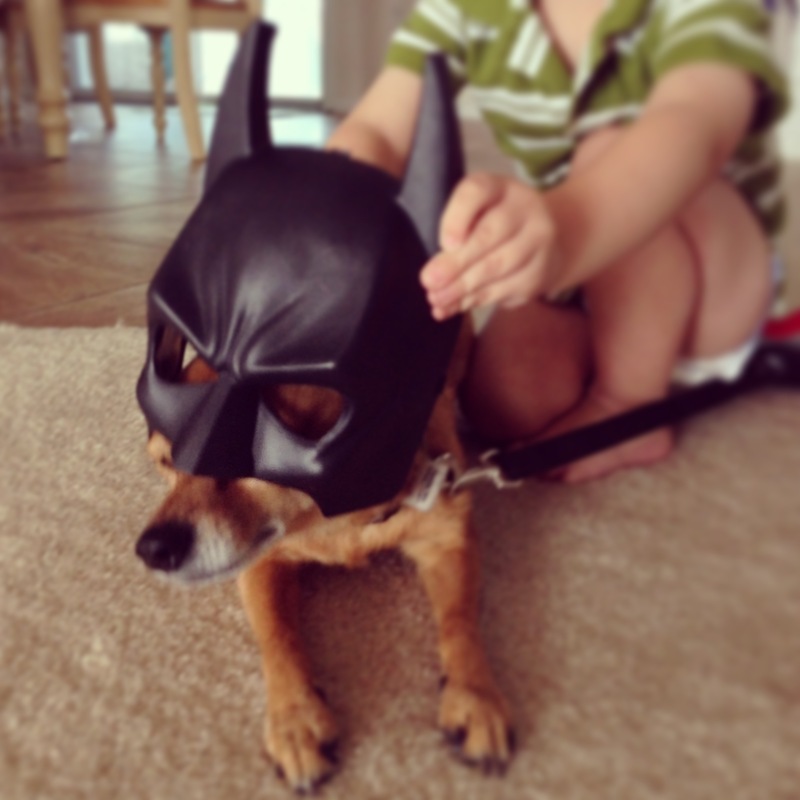 Once my mask is on, I have to chase him all over the house or yard. 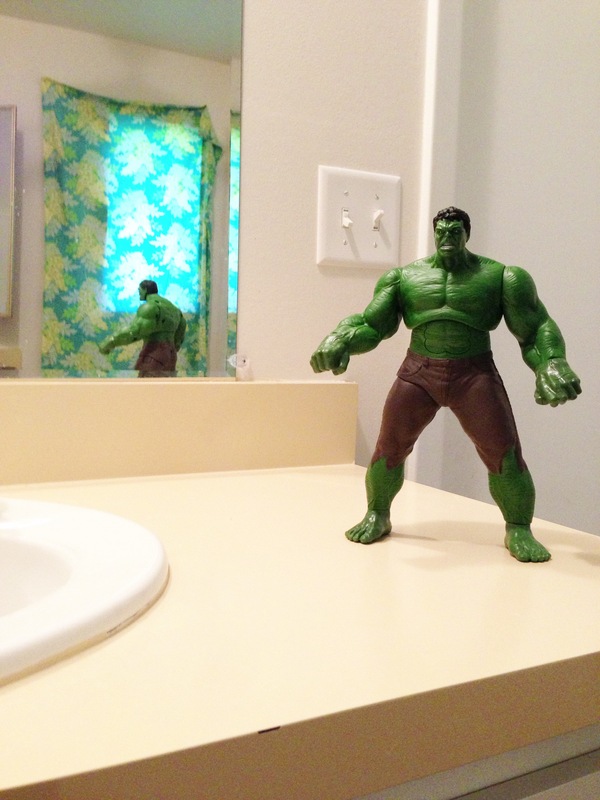 Some days I walk in my bathroom and see this waiting on me. 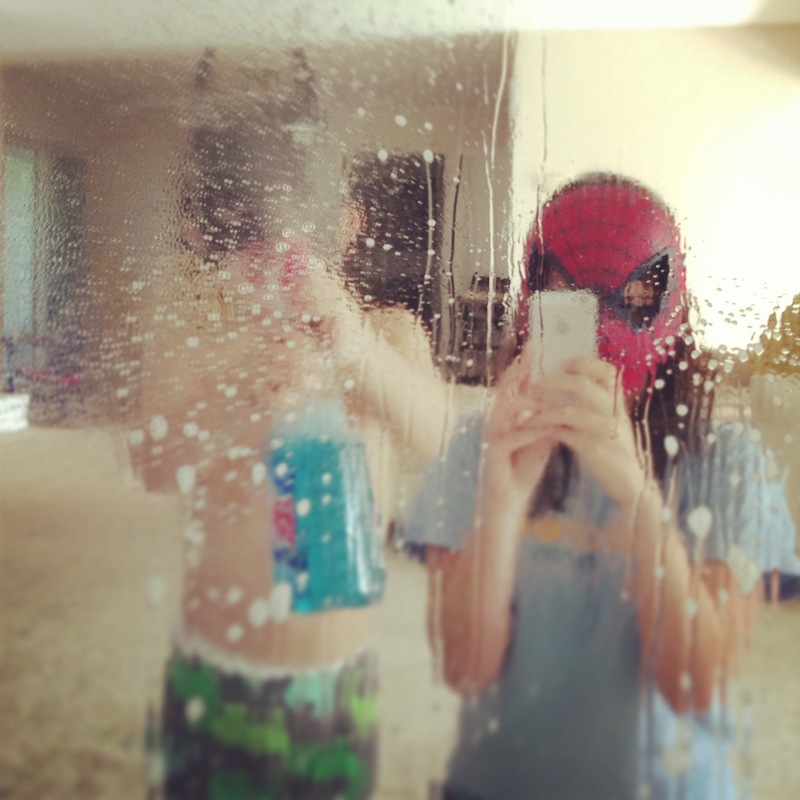 Even super heroes have chores. 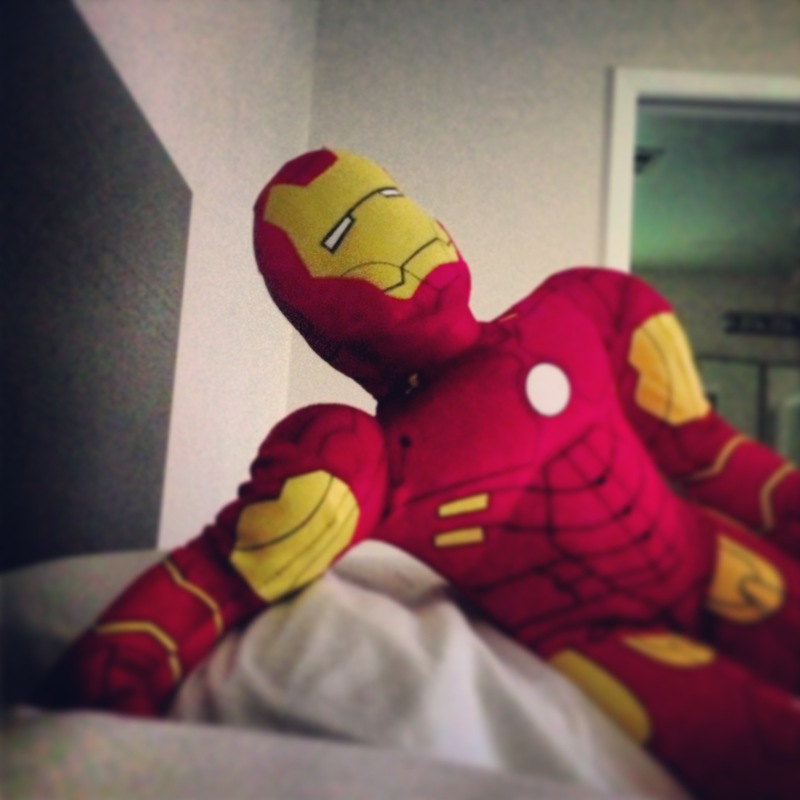 Definitely a little terrifying to wake up to this guy. Peanut. The unwilling participant in this nonsense.